The global GSSA, Air Logistics Group, continues to expand its network with the recent opening of its 56th office located in Kenya. The office, which is the first Air Logistics Group office in Africa, was successfully launched on 1st March 2012. 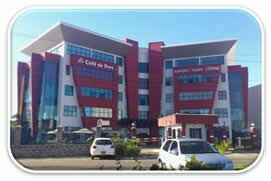 The office is located in the Airport Trade Centre in Nairobi and is being overseen by Jeremy Henno, Regional Director Africa. On a local level the office is being managed by Shawn McGuinness, General Manager Southern & Central Africa, who has over 18 years’ experience in the African air cargo industry. “Africa is now the 5th continent where Air Logistics Group has established offices, and in Jeremy and Shawn we have the right combination to establish a comprehensive network throughout Africa for our airline principles,” Adds Stephen Dawkins, Chief Operating Officer, Air Logistics Group. The Air Logistics Group network now totals 56 offices across 33 countries, with offices recently opened in Vietnam & Slovakia.